This essay will be published later this year in Mandarin by the Tongji University Center for German Studies in their “Annual Development Report of Germany 2017.” Download the full article. It is said that Mark Twain once commented, “History doesn’t repeat itself, but it often rhymes.” Maybe a more accurate version is that history doesn’t repeat itself, but people often do—for better or for worse. Over the past seventy years, German and American leadership has been defined by shared interests and objectives. Despite any number of crises, there was usually general agreement on goals (if not always tactics). 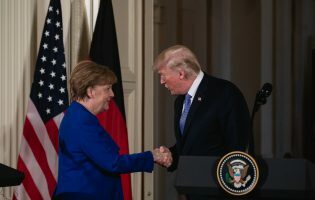 The German-American partnership has been a cornerstone of the larger framework of transatlantic relations—the widest and deepest web of self-interests in the world. And while leadership circles changed over these seven decades, the links have remained largely intact despite the inevitable clashes. That is a pretty remarkable achievement. But is today different? Are the moorings loosening? The uproar over Donald Trump’s recent comments about Europe  suggest storm clouds are on the horizon. Whether they break depends on what kind of decisions are made by the leadership in Berlin and Washington now and in the future. People make a difference. As Trump begins his tenure in the White House, a three-term chancellor will seek a fourth later this year. The contrast in both style and substance between Trump and Merkel could not be greater, but Merkel’s ability to work with the occupant of the White House has been well-demonstrated with Trump’s two predecessors. The chancellor was able to find common ground with both presidents largely because there was shared recognition of the value of partnership despite differences over specific policies. Why should the Trump era in Washington be any different? It may not be. Nothing in the interplay of power politics suggests that German and American interests are any less aligned today than in the recent past. And yet, even as the Trump administration started to lay out its own foreign policy agenda, European leaders are confused by contradicting messages from the administration’s inner circle. As U.S. vice president Mike Pence traveled to Munich and Brussels to pledge America’s “steadfast and enduring” commitment to NATO and the EU, White House chief strategist Steve Bannon voiced his preference for European populist movements and expressed a lack of faith in the EU. In Europe, many worry that open support for European right-wing populists from the U.S. administration could trigger a major transatlantic crisis. The election of Donald Trump to the presidency of the United States rattled Democrats and Europeans alike. His bold campaign rhetoric that questioned the necessity of the U.S.’ commitment to close transatlantic relations and the institutes that sustain them has been a source of great anxiety ever since the election. Meanwhile, in Germany, the three-term chancellor has to not only battle the surge of right-wing populism and offer a real, innovative platform to tackle pressing challenges, but also keep a wary eye out for elections around Europe—all while maintaining a strong commitment to European solidarity. In democracies, there is always the next election. The winners rejoice and go about the business of governing while the losers prepare for the next race. Nach dem Spiel ist vor dem Spiel. 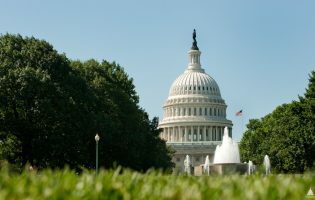 But alarming public displays of distrust of government institutions and their administrators and growing animosity toward political norms and conventions threaten to disrupt the business of government. Deliberation of a serious government agenda was elbowed aside by cynicism from political elites and the temptation to reinvent the rules of engagement. The battle between Hillary Clinton and Donald Trump and the continuing resistance from the liberals to the Trump presidency is the center ring of this development. From alleging conspiracy and claiming the election is “rigged” to aggressive personal attacks and flexible handling of facts, the beginning of the Trump era seems to promise even more assaults on the established political values, rituals, and decorum. Trump’s well-documented, transactional view of foreign policy prescribed a deep sense of uncertainty. “America First,” the key phrase of Trump’s campaign, is now being tested with a string of executive orders and cabinet appointments during the first weeks of his presidency. It is unclear if this guiding principle of the Trump administration means a general U.S. retreat from international affairs or a drastic shakeup of decades-long U.S. foreign policy doctrines, or a combination of both. While the rise of populism and the offense against the political establishment in the United States is taking center stage, it is not just an American story. Increased acrimony marks the political discourse in other democracies, particularly in Europe. On both sides of the political spectrums, new activists and seasoned politicians alike are riding the waves of anger, anxiety, and fear from people who are dissatisfied and uncertain about economic performance, immigration trends, and cultural changes, and resentful of the political organizations and institutions that have lost their appeal. The populist backlash is primarily concerned with domestic issues. In the 2016 U.S. presidential election, the economy and terrorism were top issues for voters, while foreign policy, heath care, and immigration followed closely. Similar challenges are likely to besiege the established parties in Germany when Germans head to the polls in September. Like their neighbors in the European Union, Germans are experiencing a confidence crisis. Many are pessimistic about the long-term economic prospect, anxious about increased migration and the accompanying social changes, afraid of terrorism, and losing faith that the established political institutions can help address the challenges they face. These challenges and perceptions are not only shaping the domestic political landscape across the Atlantic, but also impacting the framework of foreign policy with siren calls of protectionist responses to trade, or hyperbolic nationalism. Both the Trump rhetoric and the Brexit decision bear the hallmarks of this narrowly nationalistic and inward-looking trend. In this context, globalization, the very force that has fueled economic growth in the West, is now smeared by populists as a culprit responsible for the heightening economic disparities and the rapid social changes that challenge the perceptions of culture and identity. Leaders across Europe have cautioned Trump’s suspicious view of the European Union and his shifting attitude toward U.S. commitment to its European allies, while assuring each other of their shared values and principles. Embroiled in the wave of surging populism and nationalism, this commitment will be tested in the upcoming elections in the Netherlands, France, and Germany. For Germany, in particular, Angela Merkel’s campaign for a fourth term as chancellor will be met with loud critics and a thoroughly scrutinized public record. While fending off the right-wing Alternative for Germany (AfD) that has been riding the wave of populist resentment at home, the chancellor will be engrossed in tending to the many challenges at the European level, staving off the next financial crisis, pursuing security at home and near abroad, and negotiating for an orderly Brexit. The test of the elections in Europe is also a test of the strength and endurance of the European Union. The effect of “global Trumpism,” a rising populism that defies conventional wisdom of Western democracies, threatens to not only resurrect strong national protectionism, but also turn the progress of globalization on its head. To many voters in the U.S. and Europe, the promise that free trade will create growth and prosperity is an economic mirage. While the reduction of trade barriers of the liberalization of cross-border capital flows have greatly increased economic output in the past two decades, fostering rapid economic development in large parts of the developed world and lifting over 1 billion of people out of poverty, rising income disparity and increasing geographic shifts of industrial manufacturing have excluded major parts of the American workforce from this generally positive income development, in part due to innovation in technology and strong international competition. In the United States, where private consumption constitutes roughly 70 percent of GDP, the continuing stagnation of productivity and the declining dynamism in the labor force weakens the prospect of long-term growth. At the same time, employment and wages, still suffering from an incomplete recovery from the 2008-09 recession, places further constraints on economic mobility. Furthermore, the unfinished business of fixing the U.S. housing market, whose recent subprime mortgage crisis triggered a global recession, remains a source of concern for investor confidence and the broader consumption-led economy. The German model, which relies heavily on exports is vulnerable to both the ongoing euro crisis and growing competition from manufacturing powerhouses like China. Although the German emphasis on export manufacturing, fiscal restraint, and maintaining competitiveness helped the country’s economy weather the recent recession, the lack of political will for major institutional reforms at the European level has prolonged the euro crisis and introduced more uncertainty to the fate of the euro. Merkel and finance minister Wolfgang Schäuble’s tough prescription of strict austerity and structural reforms has not succeeded in rejuvenating crisis-ridden economies in Europe. In the meantime, rising tides of populist and anti-euro forces across Europe threaten to further damage the monetary union, which would have damaging consequences for the global economy. Although both countries are confronted with their respective economic challenges, there is a fair amount of mutual finger-pointing of negligence and mismanagement. On one hand, the Trump administration has blamed Germany for using a chronically undervalued euro to boost the country’s economy and exploit its European neighbors and the United States, with Trump’s chief trade advisor Peter Navarro claiming that Germany was a main obstacle to a deal between the U.S. and the EU. On the other hand, while fighting back Trump’s accusation of currency manipulation, German leaders, including Schäuble, cautioned the new U.S. president that despite his “America First” rhetoric, he is still bound by international trade agreements. Responding to Trump’s threat to impose heavy tariffs on imported cars, in the absence of meaningful dialogue and mutual compromise, could even see an escalation of tariff strife between two of the biggest economic engines and closest trade and investment partners. Despite the perceived erosion in trust and confidence, it is crucial to focus on the close bilateral economic relationship between Europe and the U.S. Germany is still the United States’ top trading partner in Europe; the United States has surpassed France as the biggest German export market. German-owned companies make up the third largest group of international employers in the U.S. The economic interests across the Atlantic, be it trade, employment, or research and development, are deeply intertwined. As the new U.S. administration withdrew from the Trans-Pacific Partnership (TPP) and blustered its plan to renegotiate NAFTA, some Europeans are still hopeful about the Transatlantic Trade and Investment Partnership (TTIP). Strong transatlantic ties and common interests for American and European companies, they believe, would persuade Trump to not abandon the historic trade agreement. While the fate of TTIP remains uncertain, the notion that the United States, or its president, could push through painstaking renegotiations at will to get the best value for American industries is preposterous. Without reference to the rule-based international trade system that provides standards, enforcement, and arbitration, the chaos could escalate to trade wars, disrupting global supply chains and impeding economic growth across the world. Although the temptation to blame globalization and the existing trade regime for domestic economic pressure is strong, the solution rests in better international cooperation and policy innovation, not in turning one’s back on free trade. Domestic policies of addressing the need to update the labor force’s skill sets to keep up with an increasingly digitalized global economy and rapidly developing disruptive technologies need to be buttressed by efforts from governments to communicate effectively the benefits of free trade and potential damages from national industrial protectionism. In a globalized economy, Europe and the U.S., architects of the global trade system, should remain committed to addressing the challenges in domestic economies through investment and innovation in regional and global institutions. Globalization cannot be dealt with through isolationism. It must be managed to harness its productive force without severe distortions. In this context, transatlantic cooperation on global trade and investment, especially the successful completion of TTIP, are crucial for dealing with economic challenges ahead. Germany should lead the effort in Europe to use its leverage to reinvigorate TTIP. For Berlin and Washington, keeping open the dialogue of common interests and mutual values as well as finding new ground for transatlantic synergy in preserving the rule-based global free system and setting the agenda to address unfolding economic challenges and opportunities should be a top priority. Even before his inauguration, Trump suggested that NATO might be “obsolete.” He frequently slammed NATO allies for not paying their fair share. Most recently, U.S. defense secretary Jim Mattis effectively delivered an ultimatum in Brussels, threatening that failure to increase defense spending by year-end could prompt the Trump administration to “moderate its commitment” to its allies. Despite the reaction of fear and despair to the new U.S. administration’s more transactional approach to allied security in Europe where a stable U.S. military presence and commitment is vital, criticism of Europeans for “freeriding” on security goes back a long way. Successive U.S. administrations have emphasized the need for greater burden-sharing and there is a dwindling appetite in the U.S. Congress to spend American resources to benefit U.S. allies who are not committed to serious contribution to their own defense. Germany, the largest economy in Europe, spent roughly 1.2 percent of its GDP on defense in 2016, trailing behind the UK (2.21 percent), France (1.78 percent), and even Albania (1.21 percent). In the years since German unification, German defense spending has decreased steadily to the present level from 2.8 percent of the country’s GDP. Germany’s current military of 178,000 professional soldiers, already up from 166,500 in 2015, and aging or inadequate military equipment are not simply not sufficient. Among the main obstacles is how to balance Germany’s historical legacy and a rethink of its security policy. The country’s potent militarist past led to its strategic culture of reluctance for the use of military forces. The principle of “Never Again War” was repeatedly used to explain Germany’s refusal to participate in military interventions as well as maintaining a low level of defense spending. At the same time, Germans increasingly see their country as a Friedensmacht, a force for peace, a concept which is further integrated into the rhetoric of Germany’s soft power. Even as German defense minister Ursula von der Leyen revealed a plan to boost the size of its armed forces to nearly 200,000 in the next seven years and increase spending on equipment by €130 billion over fifteen years to step up the readiness of the Bundeswehr, Germans are concerned about reactions from other European countries. German foreign minister Sigmar Gabriel recently expressed his doubt about whether a militarily strong Germany would calm its European neighbors. The combination of pressure from the United States and complex security challenges makes it necessary for Europe to push toward deeper European defense integration, with more efficient EU military forces coordinating multinational corps structures, command, logistics, maintenance, and training. Increasing defense spending significantly and pooling resources will be crucial to strengthening Europe’s defense capability and convincing the United States to maintain its commitment to NATO. Already in November, the European Commission unveiled its biggest defense funding and research plan in decades, including a €5 billion fund allowing national governments to pool resources for military equipment purchases as well as a proposal to allow the EU’s common budget and its development bank to invest in military research. A key component of the proposal would allow indebted governments, such as France, to exclude part of its defense spending from national budget deficits, a welcome sign that could both facilitate increased contribution as well as strengthen the Franco-German partnership that would become the core of European Union defense cooperation after Brexit. Despite the Trump administration’s rocky start with conflicting messages to Europe, in several areas of security the United States and Europe share strong common interests and would stand to benefit from close partnership. One of the top security priorities for governments across the Atlantic is cybersecurity. Countering cyberattacks across public and private sectors, especially against known cyber actors interfering in the democratic electoral process, is of vital importance to preserving the legitimacy and integrity of sovereign democratic governments as well as maintaining the world economic order and the global balance of power. To that end, the European Commission recently launched a public consultation of the European Union Agency for Network and Information Security (ENISA) aimed at reengineering the agency to better support member states with modern cybersecurity challenges as well as fostering closer cooperation between national cybersecurity institutions. A close U.S.-German partnership in cybersecurity would be highly beneficial, since the German defense ministry already started investing substantial financial and personnel resources in the Bundeswehr to booster Germany’s cyber security capacities. Effective transatlantic cooperation could see enhanced information sharing with NATO and the EU and harmonized cybersecurity norms and standards for cyber threat penalty. After the election of Donald Trump in the United States, right-wing nationalists across Europe are emboldened in their efforts to turn back European integration and focus on narrow national interests, often with a strong preference for realpolitik. However, the challenges facing Americans and Europeans alike, be they national security, international trade, or regional stability, cannot be addressed effectively through solitary policy instruments from any state alone. While differences in interests and disagreements over responsibilities have generated calls for radical rethinking in transatlantic cooperation, the platforms of the transatlantic partnership are not broken; and transatlantic institutions will be central to addressing the challenges stemming from across the world. Trump’s attempt to make China an effigy of America’s economic problems has already sparked fear of trade wars. He has accused China of stealing American jobs and called Chinese the “grand champions” of currency manipulation. He has also suggested that U.S. commitment to its One-China policy should be conditional upon Beijing’s concession on trade deals, carelessly challenging the Chinese government’s bottom line on national sovereignty. The struggle would severely damage American and other foreign companies in China, injure multinational corporations, and wreck the global supply chain. Trump’s transactional policy outlook and his unbridled negotiation tactics are deeply concerning for Sino-U.S. relations. They could undermine the belief in global governance and the values it seeks to promote. Conflicting messages on U.S. commitment in regional stability in the South China Sea region alarm China and U.S. allies alike. Simple criticism of Chinese investment abroad does not erase the need for development or substitute for standards. As the U.S. withdrew from TTP, its allies in the Asia-Pacific region are left with little alternative to pursuing bilateral deals with China. Against the background of an uncertain U.S. leadership, Germany’s efforts in Europe and beyond to defend and maintain these principles, values, and institutions that collectively shaped the identity and formed the purpose of Western democracies, as well as its extensive economic presence in both the U.S. and Asia-Pacific, are crucial to assure regional allies and potentially resuscitate the historic trade agreement. China’s One-Belt-One-Road (OBOR) strategy, which seeks to connect Asia and Europe and parts of Africa through a land corridor and a maritime route, has the potential to open economies across Eurasia. In a region where American intervention has bred suspicion and resentment, European involvement in the development of OBOR could help introduce rules and standards for orderly, open, and fair development, providing the foundation for solid economic growth and greater prospects for regional stability. In an era when China assumes wider influence and demands heavier weight in global governance through its grand strategies and institutions old and new, Germany’s unwavering commitment to the transatlantic relationship, one that is built on mutual convictions and trust, and to the liberal, democratic norms and values should serve as a constant reminder and example to the incoming administration to engage China on multiple platforms, including the Asian Infrastructure Investment Bank (AIIB), to become a responsible stakeholder in the international system we seek to preserve. Despite Trump’s earlier warning to put Iran “on notice,” the new U.S. administration seems uninterested in engaging its Iranian counterpart. So far, with the minor episode of Iran’s missile test and the subsequent sanction on twenty-five individuals from Washington, the historic nuclear agreement reached under the Obama administration seems to hold for the moment. A key challenge for the administration going forward is that its policy toward Iran needs to balance different strategic priorities including counter-terrorism and reducing regional conflicts. Given such a delicate task, Trump campaign rhetoric of aggressive military confrontation could not only destroy the nuclear deal, but also push Iran to release a contagion of sectarian conflicts in Yemen, Iraq, and Syria, at the same time damaging U.S. efforts of working in proximity to Iranian advisors and Shiite militias in Iraq to defeat the Islamic State. Without substantial reasons, U.S.-led aggression or sanctions could also inadvertently tighten the Islamic Revolutionary Guard Corps’ (IRGC) grip on Iran’s economy and foment further corruption through its vested interests. A sensible solution would involve taking into consideration Iran’s legitimate security needs and communicating redlines, while continuing to engage the regime in dialogues that could lead to more relief from crippling sanctions. To this end, Europe is an ideal partner for positive economic engagement with Iran. Years of sanctions isolated the Iranian economy, deprived it of modern industrial infrastructure, and created a high level of unemployment in the country. A return of manufacturing productivity and consumption expansion, where Europeans have shown to be eager partners, could offer more incentive to continue dialogues between Iran and the West and potentially sway Iranian public opinion. In particular, German technological know-how in mechanical engineering and auto manufacturing would not only upgrade Iran’s industrial capacity in these sectors, but also expand domestic consumption in the country. Germany’s chemical and energy industrial could also see extensive engagement in Iran through expanding exploration and modernizing refineries. Should the regime violate the nuclear agreement, Europe’s commitment to re-impose sanctions despite immense European business interests in Iran is also crucial to ensuring compliance and keeping Iran at the negotiation table. For both sides of the Atlantic, the relationship with Russian remains a difficult and delicate task. For the past few years, Russia’s annexation of Crimea and involvement in sustained military conflicts in eastern Ukraine has put Europeans on edge, especially for the Baltic states who now fear a Russian takeover. Russia’s alleged use of hybrid warfare in Europe and the United States, employing a combination of political destabilization, intelligence penetration, subversion, and disinformation, are now vital concerns for Western democracies that seek to counter Russian efforts to destroy their political integrity. The Trump administration is plagued with ongoing probes of its connections with Russia, with the president slamming U.S. media for negative reporting and rising concerns within the U.S. intelligence community. In Europe, governments scramble to respond to a Russian disinformation campaign and to counter potential Russian interference in the upcoming national elections in France, Germany, and the Netherlands. Testing the West’s capacity to respond, Russia’s hybrid tactics are aimed at creating political opportunities for Russia to exert its foreign policy agenda, especially in the former Soviet sphere. As long as both Europe and the United States do not see a return to balance-of-power politics as a viable option, strong coordinated transatlantic efforts to step up security and provide prospects for the integration of Europe’s eastern periphery is essential. At a time when the U.S. administration seems to have adopted a policy of appeasement toward Russia, Germany’s leadership in Europe is vital to move toward enhanced European solidarity against hybrid warfare. Berlin’s commitment to keeping sanctions in place while the implementation of the Minsk agreement is in progress will serve as a deterrence to the Kremlin as well as a demonstration to Washington of the bloc’s commitment to fight for shared values and security. Over the entire postwar period of relations between the Federal Republic of Germany and the United States, there was never a deficit of friction. That the Cold War division ran straight through the country made certain conflicts unavoidable—security policies, negotiations with Russia, relations with Eastern European countries, the presence of Americans soldiers throughout West German territory. More recently, these frictions have centered on wars in Iraq, Afghanistan, and the Balkans; trade issues; the fight against terror; or the causes of the Great Recession. At the same time, we should not underestimate the forces of real interdependence between two of the most powerful economies in the world who also play pivotal roles in the entire global arena in meeting threats and challenges. As asymmetric in military power as they are, Germany and the U.S. have a shared stake in sustaining a stable European market and global free trade, fighting terrorism, crafting cyber security parameters, encouraging innovation in energy sources, confronting the impact of climate change and the spread of pandemics, and dealing with the challenge of global migration trends. Both countries have tools to pool and share in all these instances and they have done so repeatedly. There can be no doubt that every one of those areas of mutual concern is going to continue and multiply in urgency and relevance on both sides of the Atlantic. There is also every reason to try to combine whatever resources are available to confront and solve those problems, yet the chief reason is that no one country is going to be able to deal with them independently. Perhaps history doesn’t repeat itself, but even if it rhymes—occasionally for the better—the question is whether it is because sometimes people learn to see what has been useful, successful, and perhaps worthwhile. The responses in Europe to Trump’s initial very abbreviated messages about his opinions on NATO, the EU, Brexit, and Russia have set off alarms that may also remind people about the need to hear the echoes from history. No one should want to have the worst of twentieth century history repeat itself. 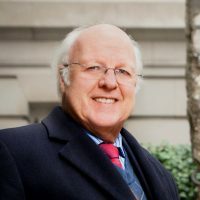 Dr. Jackson Janes is the President of AICGS. 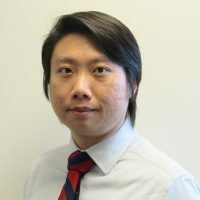 Mr. Yixiang Xu is the New Research Initiative Fellow at AICGS. Stefan Frölich, “Berlin’s New Pragmatism in an Era of Radical Uncertainty,” Transatlantic Academy, January 2017, p. 15.